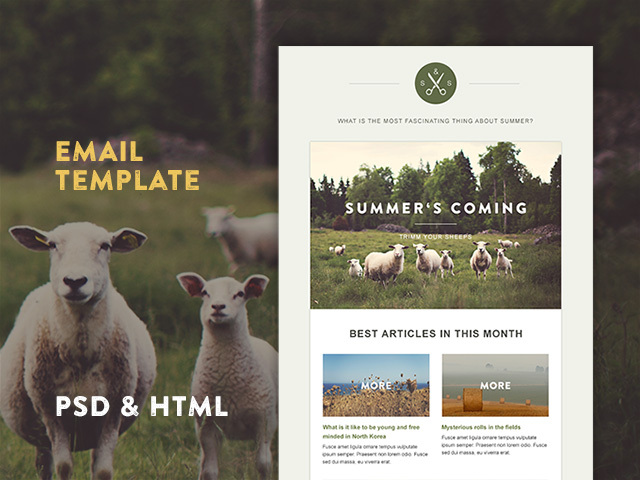 Green Village is a gorgeous HTML Newsletter template with clean and minimal design. Easily suits mobile devices, browsers and desktop email clients. Use it for your retail store newsletter, health food store or online clothing shop. It’s very versatile!